MAKER'S YOUR CALENDAR It's the Maker's Mark 2019 Handcraft Festival, and it's set for Saturday, April 13 at the distillery near Loretto, KY. The free event is set for 10 a.m.
It’s the Maker’s Mark 2019 Handcraft Festival, and it’s set for Saturday, April 13 at the distillery near Loretto, KY. The free event is set for 10 a.m. to 4 p.m. and tours will be self-guided. The annual event means you can stroll the distillery grounds and visit the booths of artists offering unique and wonderful items–many of them with a Maker’s Mark theme. There’ll also be live music and food trucks. Graham Memorial Park will be hosting their annual FREE Easter Egg Hunt on April 13th at 10:00 am. Ages 0–9. Two age divisions. Hunt will be held on the playground area and Gorley Field. Participants should meet at the pavilion by the pool before the hunt begins so that rules may be discussed. Please bring a basket for collecting eggs. Hunt will be postponed until April 20th at 10:00 am if it rains on April 13th. Some of the best of Kentucky’s craft bourbon, beer, wine and moonshine, all at one place. Canoe Kentucky boat demo on the distillery’s lake. $10 general admission; children 12 and under free. Bargains! Antiques! Collectibles! Yard Sales! Who knows what “treasures” you will find at the HWY 55 Yard Sale April 25-28, 2019! 147 Miles of bargains, antiques, collectibles and yard sales along KY Hwy. 55 in the counties of Carroll, Trimble, Henry, Shelby, Spencer, Nelson, Washington, Marion, Taylor, Adair and Russell! Residents and businesses are welcome and encouraged to join in on this 4 day yard sale. Clean out your closets, garages, attics and basements and cash in! Eddie Miles, nationally known performer, returns to the stage with a brand new show featuring music from ALL YOUR FAVORITE MUSIC LEGENDS. It’ll be A DIFFERENT SHOW EACH MONTH showcasing lots of different Country and Rock Music of yesteryear! You won’t want to miss Eddie’s mastery of many different styles as he sings the Legends like Johnny Cash, Roy Orberson, Dire Straights, Elvis Presley, and many more. Eddie knows them all and he may even take a few requests. Every show is different! Enjoy them ALL! Tickets: Tickets for all three shows go on sale January 14, 2019 at 8am. ​Preferred Front Seating $25, Other Reserved Seating $20. There are riches buried in these Marion County, Kentucky hills. Take, for instance, the Loretto Heritage Center, and its archives. Visitors may tour the Heritage Center, a world-class museum where the richness and heritage of the Sisters of Loretto are on full display. And visitors can access the archives, a carefully preserved collection of artifacts dating to frontier Kentucky. Don’t underestimate either. The Loretto Heritage Center is made up of two complementary halves, the archives, and the museum. The archives preserves Loretto history’s primary source documents from which the museum’s exhibit narratives were developed. And the museum, in turn, serves as the publicly accessible face of the Heritage Center. The Catholic Sisters of Loretto and Co-members continue, to this day, their global activities. Justice and peace intervention, teaching, environmental issues, global hunger—there are Loretto Community members tackling these issues from Pakistan to Podukville, Anywhere at this very moment. And that’s what they’ve been doing since the Loretto Community founding in 1812. And that’s what you’ll learn about when you tour the museum. Walk through the doors and carefully designed exhibits will let you walk through history with the Loretto Community. Careful…don’t get placed behind a chainlink enclosure at a 1960s protest. And a carefully placed request gets you access to the archives, the documentation of the history exhibited in the museum. Journals, books, photos, documents, artwork, maps, furniture, statues, paintings, family history—the scope of it all can be daunting. But remember: It’s all carefully organized, categorized, preserved, accessible. ~Genealogy research for family members of Sisters of Loretto. ~Early pioneer schools the Sisters of Loretto founded and staffed across the United States. ~Transitions in Catholic sister life following the Second Vatican Council in the 1960s. ~How do you get there? The Loretto Community in Marion County, KY, is located at 515 Nerinx Road, Nerinx, KY. Hours for the Loretto Heritage Center are from 11 a.m. to 4 p.m. Tuesday through Friday. The center is closed from noon to 1 p.m. on each of those days for lunch. The center is open from 11 a.m. to 3 p.m. on Saturdays and Sundays. The center is closed on Mondays. There is no charge for admission to the center, although visitors are welcome to make a donation. The center is wheelchair-accessible. For large groups, or for group tour arrangements it’s recommended you call the center’s director, Eleanor Craig, at (270) 865-5811, extension 3151. To make arrangements to access the archives, contact the center’s archivist, by calling the same number, (270) 865-5811, extension 3151. The website for the Loretto Heritage Center: www.lorettocommunity.org/heritage. The Loretto Heritage Center’s new blog can be found at www.lorettocommunity.org/lore-tto/. Precise directions to the center: www.lorettocommunity.org/heritage/heritage-museum-directions/. And there’s even more for the visitor One thing you, the visitor, need to understand. When you visit the Loretto Heritage Center at the Loretto Community in Marion County…well…there’s much more to this thriving “community” than you might think. 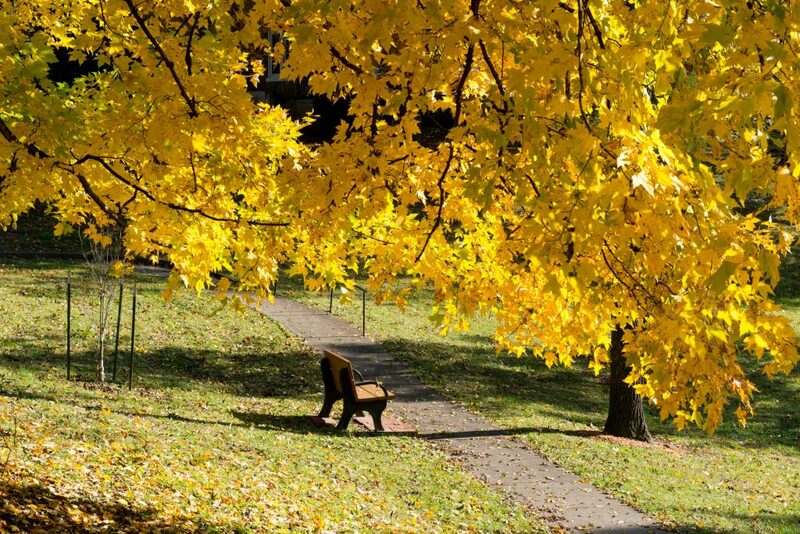 ~The Loretto Community has been a steward of its 788-acres since 1824. Driven by the Loretto Community Land Ethic, the acres include a working farm, woods, wildflower fields in conservation, and a Timber Stand Improvement Program. To learn more, or to arrange tours, contact Cody Rakes, director of farm and land development, by writing motherhousefarm@gmail.com. 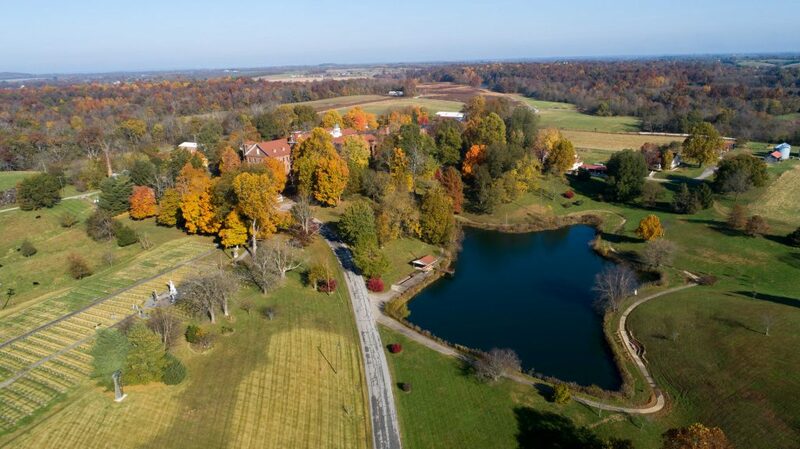 ~The Loretto Community offers retreats on its beautiful Central Kentucky acres. 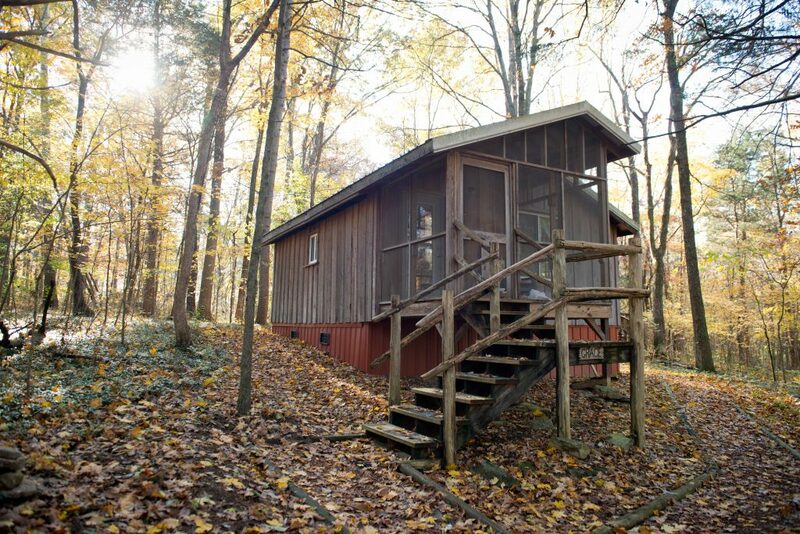 The retreat centers website is www.lorettoretreatcenters.com/. For Knobs Haven retreat information write JoAnn Gates at knobshaven@yahoo.com. For Cedars of Peace retreat information write Susan Cassen at cedarsofpeace@gmail.com. ~The Loretto Community in Marion County is home to world-famous artist Jeanne Dueber. The Jeanne Dueber Art Gallery page can be found at www.lorettocommunity.org/who-we-are/loretto-motherhouse/jeanne-dueber-art-gallery/. And there’s much more…walking and hiking opportunities, musical performances in the stunning Loretto Motherhouse church, and outdoor sculpture viewing. The best way to try and get a grasp of it all is to visit the Loretto Community website, which can be found at www.lorettocommunity.org.